Carl Schurz was born in Liblar, Germany, to Marianne Jüssen and Christian Schurz, a small businessman and teacher. He was educated at Marcellen Gymnasium in Cologne and at the University of Bonn, where he was powerfully affected by the nationalist and democratic views of Professor Gottfried Kinkel. During the failed Revolution of 1848, the youth collaborated with his mentor to agitate for radical democratic reforms. He took part in an unsuccessful plot to capture the Siegburg arsenal, then fled to the Palatinate and joined the revolutionary militia. Serving as a lieutenant, he fought in battles at Übstadt and Bruchsal. At Rastatt, he narrowly escaped capture, and thus possible execution for treason, but managed to reach France. Professor Kinkel was not so lucky: he was captured and sentenced to life imprisonment at Spandau. In a daring feat, Schurz clandestinely returned to Germany and freed Kinkel from jail. Schurz worked as a journalist and teacher in England and France for two years before migrating to the United States in 1852. That same year he married Margarethe Meyer, a rich heiress from Hamburg. The couple first lived in Philadelphia, then moved to Watertown, Wisconsin, which had a substantial enclave of German immigrants. Schurz worked as a journalist and real estate agent, but primarily engaged in Republican politics. An anti-slavery advocate and rousing bilingual speaker, he was an effective recruiter for the Republican party among German-Americans. In 1857 the party nominated him for lieutenant governor even before he had become a citizen. While the Republicans did well, Schurz lost due to nativist prejudice against immigrants. In 1859 he failed in a bid to become the Republican gubernatorial nominee, but continued speaking for the party. In 1861 newly-elected President Abraham Lincoln appointed Schurz minister to Spain as a reward for his tireless electioneering during the previous campaign. Before departing for Europe, he recruited several cavalry regiments of German-Americans. Once in Madrid, he became convinced that a policy of emancipation was necessary to prevent European intervention in the American Civil War, and so advised the president. In April 1862 Schurz resigned the ministership and returned to serve in the Union army as brigadier general. He was promoted to major general after the Second Battle of Bull Run (Manassas). His performance was criticized, however, at Chancellorsville, Gettysburg, and Wauhatchie, for which a court of inquiry exonerated him. He was reassigned to command of a training camp outside Nashville and, finally, as chief of staff to General Henry Slocum in North Carolina. After the war, Schurz toured the South on a fact-finding tour in the summer of 1865. His blistering report to Congress condemned President Johnson's lenient Reconstruction policies for allowing anti-black and anti-Unionist atrocities. Returning to journalism, Schurz took positions with the New York Tribune (as Washington correspondent), the Detroit Post, and the German-language St. Louis Westliche Post (as editor and part-owner). He increasingly became identified as the leading national spokesman for German-Americans. In 1868 he delivered the keynote address at the Republican National Convention, and in 1869 was elected to the U. S. Senate by the Missouri legislature. Schurz soon broke with the Grant administration over its policies on civil service reform, patronage for Missouri, the attempted annexation of the Dominican Republic, and Reconstruction. One of the key instigators of the Liberal Republican movement, he presided at its 1872 national convention in Cincinnati. The new party's platform endorsed civil service reform and a conciliatory southern policy, while denouncing Grant administration corruption and expansionist foreign policy. They nominated eccentric newspaper editor Horace Greeley for president and Missouri's other senator, Gratz Brown, for vice president, as did the Democratic party. Schurz thought the Greeley nomination was a political mistake, but he supported the ticket. The senator was refused a second term in 1875 by the Democratically-controlled Missouri legislature. 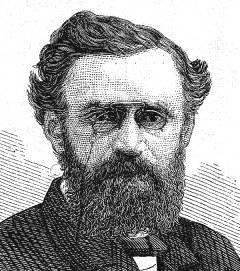 In 1876 Schurz aligned himself with the Republican party and campaigned for Rutherford Hayes. Once elected, the new president named him as Secretary of the Interior. Schurz replaced patronage within the Interior Department with merit hiring and promotion procedures (civil service reform), began the federal policy of environmental conservation, and uprooted corruption in the Indian Bureau. He came under fire for continuing the removal of Indians from their tribal lands to reservations, especially the forced resettlement of the Poncas, and eventually moderated that policy. In 1881 he became co-editor of the New York Evening Post, sharing duties with E. L. Godkin and Horace White. He promoted civil service reform and other causes and, as anti-Semitism gained momentum in Europe, called for religious and ethnic tolerance (his wife was half-Jewish). He was forced to resign in 1883 when he disagreed publicly with Godkin's criticism of striking telegraphers. The next year Schurz joined the "Mugwump" revolt of liberals from the Republican party to protest the presidential nomination of James Blaine, a politico with a reputation for corruption and opposition to reform. Schurz remained thereafter a political independent, endorsing candidates of either party who supported his reform agenda. In 1892 Schurz assumed the presidency of the National Civil Service Reform League and the editorship of Harper's Weekly upon the death of George William Curtis who had previously filled both positions. Schurz was also a leading anti-imperialist, opposing the Spanish-American War and the annexation of Hawaii and Puerto Rico. He forged a friendship with Booker T. Washington and once again publicly spoke out for the civil rights of black Americans. Schurz was the author of a two-volume biography of Henry Clay (1887) and a three-volume autobiography called Reminiscences-the first volume, which explored his youth in Europe, was written in German, and the third volume was published posthumously. Sources consulted: American National Biography; Mark Boatner, ed., The Civil War Dictionary.